Faith, Fiction, and Unvarnished Truth: Mind Over Madi Rocks! Well, I finally made it. I’ve officially joined the ranks of my fellow bloggers. I’m happy to announce that my first post won’t be about me. Can you believe that? Okay, y’all can stop clapping now. Anyway, I'd like to start this new venture by promoting a fellow writer. Her name is Lynda Lee Schab. After you read her debut novel, Mind Over Madi, which releases on November 15, you’ll understand why. The woman has talent, I tell you! Madi Lee McCall, age 38, has some issues. Actually, she’s had them for thirty years, thanks to her mother, Maxine, who has told Madi a gazillion times that all men cheat. As far as Maxine is concerned, all men are pigs. Can you imagine? As a result, Madi’s only sure of three things. 1. Princes only exist in fairy tales. 2. Being a princess is way over-rated. 3. Food (especially pizza) provides excellent first aid for broken hearts. After Madi finds lipstick on her husband, Richard’s, collar, though, in a shade of blazing brown to be exact, she knows what her mother told her was right. To make matters worse, Madi knows whose luscious lips left the smudge on Richard's collar—the provocative Fawn Witchburn. Couldn't her husband have chosen someone a little more...classy? Madi tells Richard to move out of the house. Now all she has to do is break the news to her three kids: Max, Christina, and Emily. Maybe she should eat some Edy’s Dibs first. As if things aren’t bad enough, Christina gets in trouble at school for popping Paige Hardaway in the nose. Madi worries about Paige’s mother suing her. Then there’s Sam, a girl with pitch-black hair (tinted with pink streaks), not to mention a gold ring that protrudes from her bottom lip. Sam is “hot” for Max. Oh, little Emily, the youngest of the three, wants to know one thing. Why won’t Madi tell Daddy to come back home? And Vino’s can’t deliver a pizza on time. Actually, yes. According to Madi's best friend, Sylvie Williams, Madi Lee McCall has lost herself. Her risk-taking spirit has now turned into a wimpy one. The problem? Madi doesn’t see herself the same way Sarah does. What’s a woman to do? There are numerous twists, not to mention a cast of wonderful characters, which kept me turning the pages of this book all the way to the end. Mind Over Madi will make you laugh, cry, and see how available God's grace is to all of us—no matter what storms in life might come our way. LYNDA LEE SCHAB got her writing start in greeting cards (Blue Mountain Arts, Dayspring) and from there went on to write articles and short stories (Mature Living, Christian Home & School) and in many places online (including www.Examiner.com and www.wow-womenonwriting.com), but her passion has always been fiction. Mind Over Madi, her debut novel, is near and dear to her heart. Lynda admits she has a lot in common with the character of Madi. Not only are they both addicted to ice cream, chocolate, and computer games, they struggle with the same types of insecurities and continually require a hefty dose of God’s grace. Lynda works behind the scenes at FaithWriters.com and is a member of ACFW. 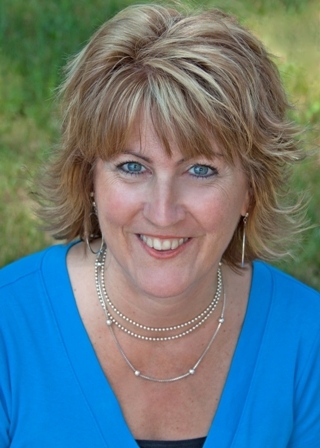 She is a regular book reviewer for FaithfulReader.com and is the Grand Rapids Christian Fiction Examiner and the National Writing Examiner for Examiner.com. Mind Over Madi received Runner-up in the 2007 FaithWriters Page Turner contest, was a finalist in the 2007 RWA Get your Stiletto in the Door contest, and won second place in the 2008 ACFW Genesis contest, Chick Lit Category. Lynda lives with her husband, Rob, and two teenagers in Michigan. Connect with Lynda on Facebook and Twitter: Facebook and Twitter. Welcome back to blogosphere, Deb! So honored to be your very first post! Thanks for a great review of Mind over Madi! Great job posting the highlights. :-) Glad you enjoyed it. Thanks for the welcome, Lynda. I hope everyone enjoys this book as much as I did. What an enticing review, Deborah. My world finally slowed down enough for me to follow Lynda here. Thank you so much, Normandie. I appreciate you taking the time to stop in and check it out. Welcome to blogging! You did great. 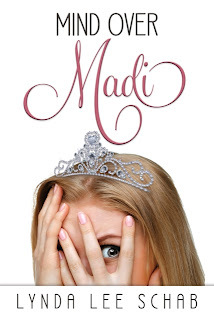 Mind Over Madi sounds like an awesome read! Thanks for sharing. Deb, I like your blog and am glad you're here. You are one funny lady, and that makes your review of Lynda's book very appealing. Please keep writing and reviewing. Thank you so much, Pat. You are truly one of God's treasures. I totally agree, Patricia! Deb is a very funny writer. We're just waiting for God's timing so she can get a book out there, too! :-) Thanks to all of you for stopping by and for your wonderful comments! From one newbie blogger to another, welcome to the blogosphere! Welcome to blogland. Your blog looks great! Thanks so much, Michelle. A big welcome to you! Thanks for stopping by, Bonnie. I'm glad you liked the blog. Lynda's book is totally cool! I thoroughly enjoyed it.